Content is the basis of e-learning, emphasis being on content development. 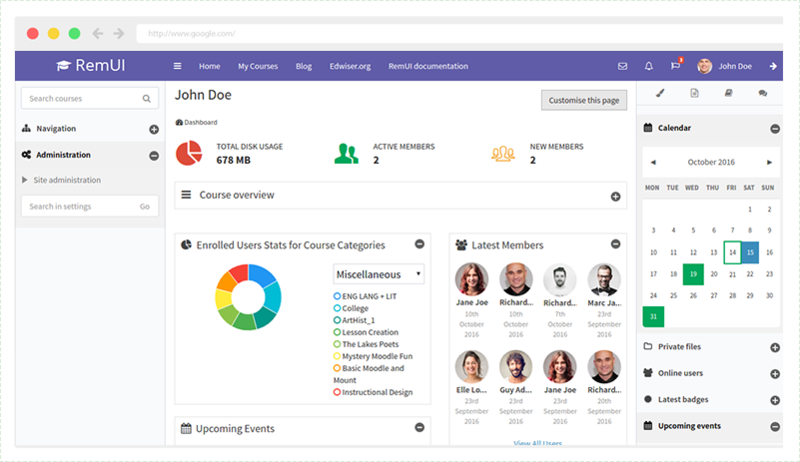 The way to efficiently develop learning content, is to optimize every aspect, may it be the analysis, design or updating the content to the Learning Management System – in our case Moodle. We tend to focus on creating the content; seldom do we take into account the effort involved in adding it to Moodle. A week ago, the Ctrl keys on my keyboard stopped working. I’m used to working with shortcuts, so as you can imagine, this slowed me down quite a bit. When writing my blog, the content was in my head, well laid out. The thoughts flowed freely. But this hindrance bothered me. If I had never used shortcuts, I’d have never known what I was missing out on. In Moodle, you have to navigate across a series of options to accomplish a particular task. 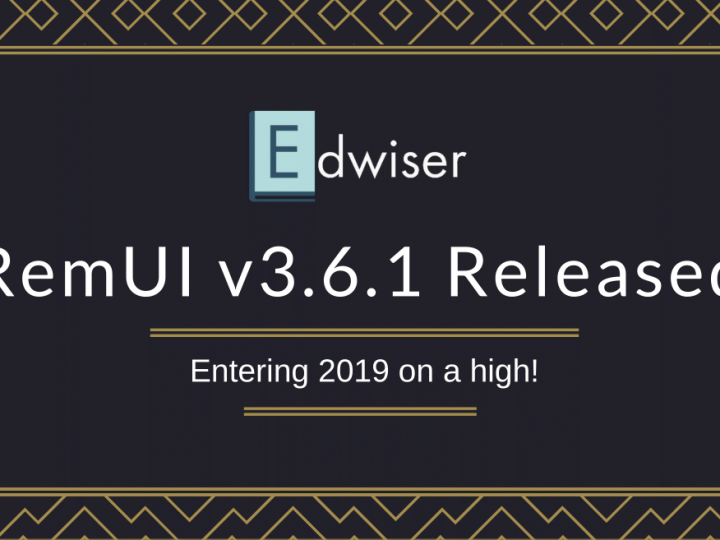 But with Edwiser RemUI, this changes to quite an extent. As a Learning coordinator, you’ll spend a good amount of time uploading course content. Edwiser RemUI reduces the effort involved. The traditional Moodle approach to creating a new course is a 3 step process, or 5 if you have to create a category. 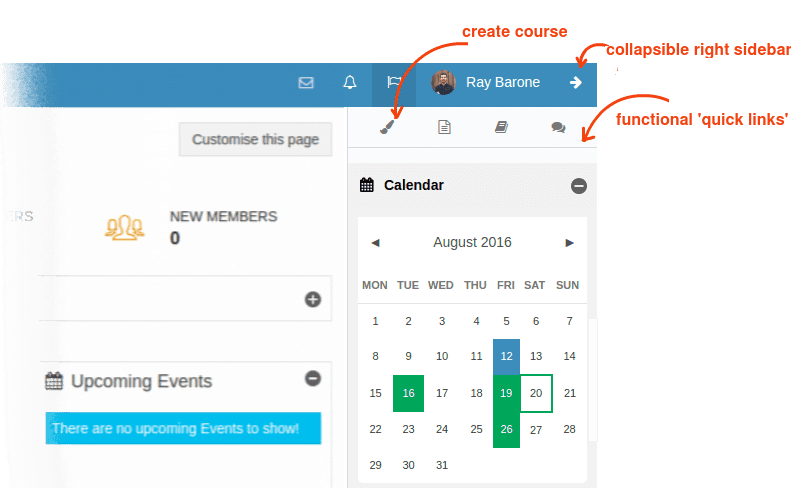 With the easily accessible ‘Create Course’ shortcut present in the right sidebar, you have a one-click option to create a new course. And this quick link is not all. 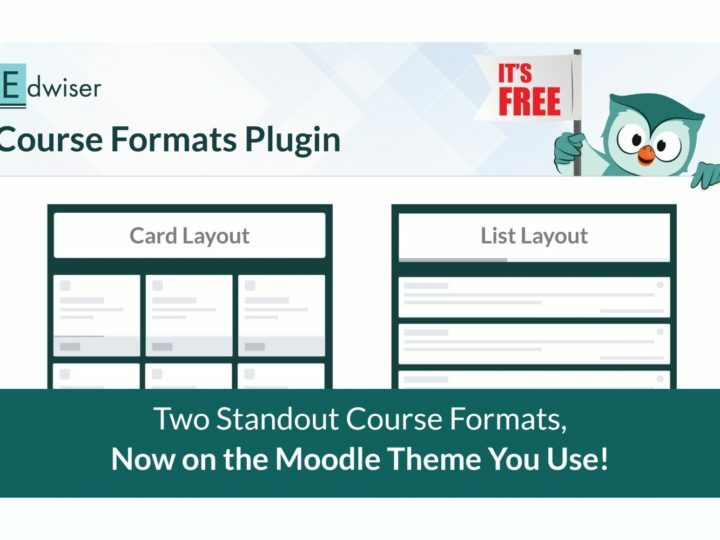 With this Moodle UX theme, there’s an option to create a category, while adding a course! By specifying a category name when creating a course, a new category will be added; or, if the category exists, the course will be classified under the said category. Apart from the conventional Moodle approach of adding an activity via a course, you can add an activity using an option on the calendar as well. Quite obviously, the calendar is often referred to when creating an event. Moodle provides an option to create a new event right on the calendar page. While that works well when an event has to be created on the current date, Edwiser RemUI provides a ‘Create new event’ shortcut, on a particular date. 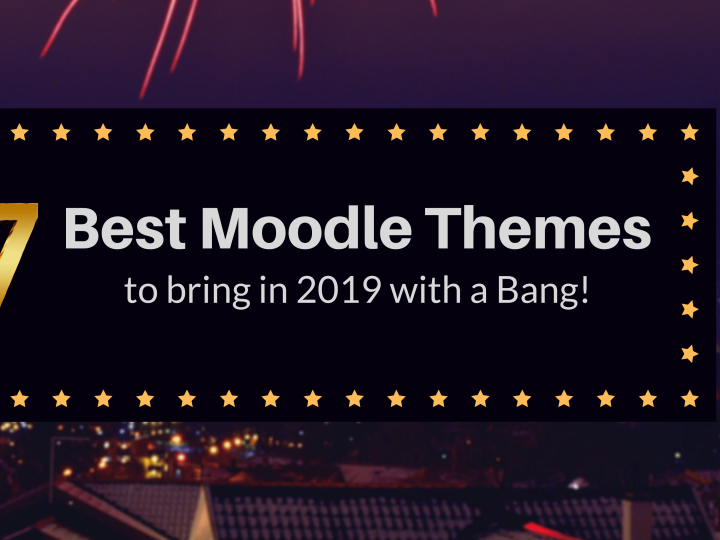 When enthusiastically developing course content, the tedious Moodle navigation can bring down your spirits. What can truly help here, is an easier, quicker way to upload content. 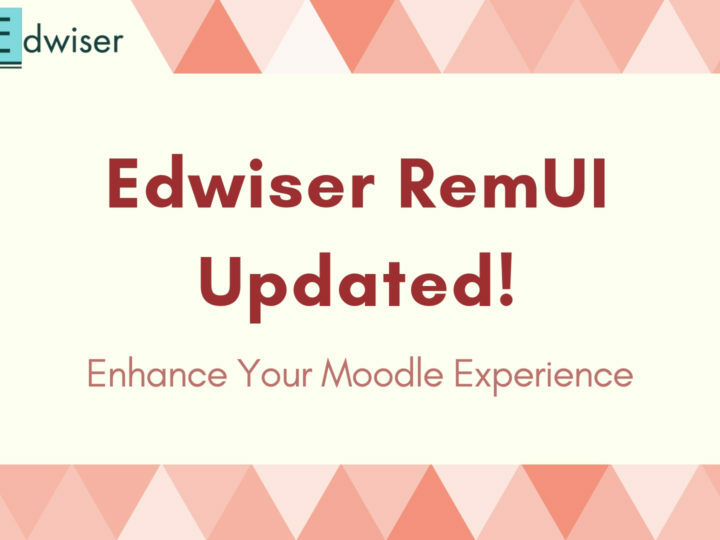 Edwiser RemUI works to this end, making the Moodle administrator’s life simple. With shortcuts, quick links and additional options, content creation is a breeze!